"You have to live," she whispered. "You can't die on me because it works both ways, you know. You need me to survive, but I need you." Dumped in the bay off the California coast by an unknown assailant, Elaine Dodge felt her life gradually fade away. But what had it been over the last five years? Miserable. Her adopted mom is dead. Her friends have turned their backs. She should have expected it to end like this. Except, after being rescued from drowning by Anchor Dawkins, a superhuman boy at home in the water, she's thrown into a world where all is not what it seems. Not her being there. Not who's threatening them. Not their future together. A future his ultimate act of sacrifice might destroy for good. 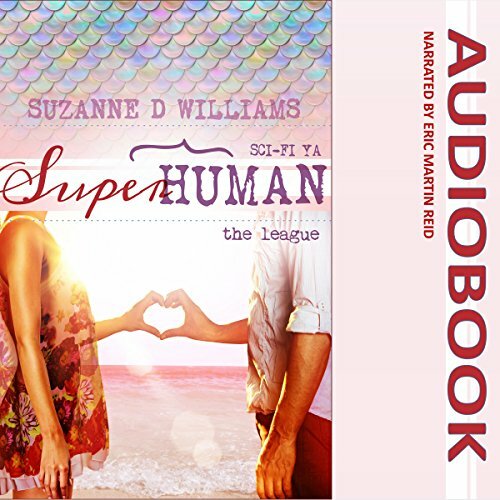 Book two of five in the Superhuman sci-fi series by best-selling author, Suzanne D. Williams.